Huntington Ingalls Industries informs that its Newport News Shipbuilding division has received a US$1.295 billion extension to a previously awarded construction preparation contract for the aircraft carrier 'John F. Kennedy' (CVN 79). The contract extension enables Newport News to complete an additional 343 structural units and purchase the majority of the remaining material for the ship, including items such as valves, controllers, pumps and raw materials. 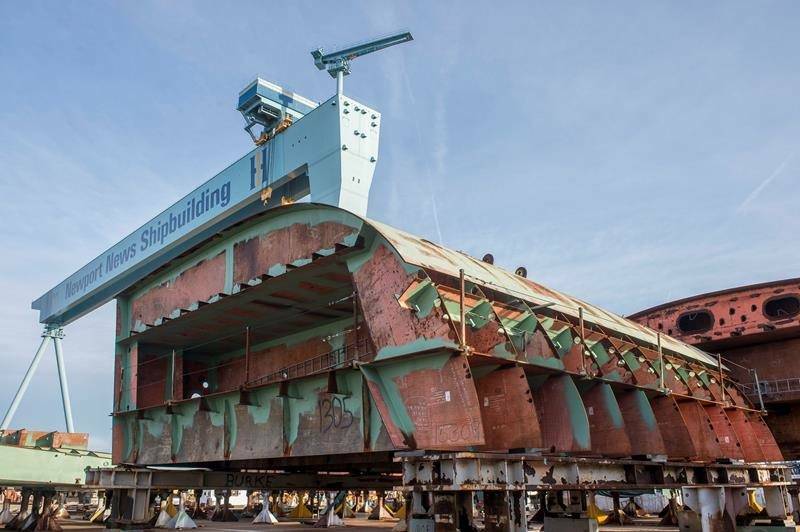 The shipyard has performed work on John F. Kennedy since Jan. 15, 2009, under a construction preparation contract that allows engineering, planning, material procurement and initial manufacturing to begin before the full construction contract is awarded. "This additional funding helps us maintain our positive momentum with savings initiatives and pre-construction in advance of the construction contract that is expected later this year," said Mike Shawcross, Newport News' vice president, CVN 79 construction. "In addition to increasing the number of structural units under contract, it allows the CVN 79 procurement team to place purchase orders for most of the remaining material for the ship, which helps us meet our efficiency objectives through economic order quantities and consolidated buys. It also ensures that lessons learned, best practices and production efficiencies from building Gerald R. Ford can continue to be implemented at the most optimal time, providing a smooth transition to the second ship of the Ford class." HII explain that John F. Kennedy will continue the legacy of highly capable U.S. Navy nuclear-powered aircraft carrier platforms. Ford-class enhancements incorporated into the design include flight deck changes, improved weapons handling systems and a redesigned island, all resulting in increased aircraft sortie-generation rates. Kennedy will also feature new nuclear power plants, increased electrical power-generation capacity, allowance for future technologies, and reduced workload for sailors, translating to a smaller crew size and reduced operating costs for the Navy.